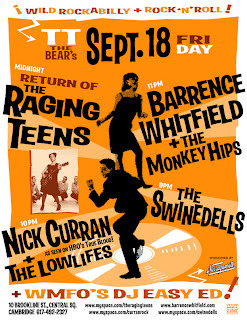 September 18 at TT the Bear's! 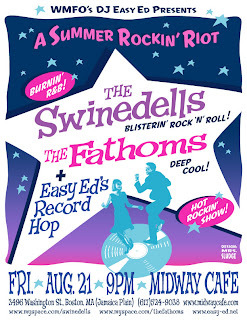 Swinedells + Fathoms + DJ Easy Ed 8/21/2009--Don't Miss It! Hi, folks. 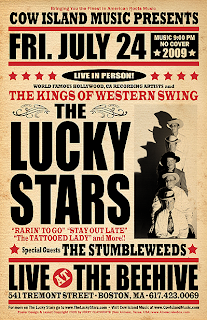 Well, the poster says it all I guess, except it doesn't mention that the Lucky Stars are the best thing this ol' DJ has seen. "Amazingly talented" doesn't half cover it. You just have to see for yourself. Completely unrelated to that, “Easy Ed’s Variety Hour” is now available as an iTunes podcast. Click the link below to subscribe. Never miss an episode (unless you want to). You've heard it all before (how do you think I feel?) and here it is again! 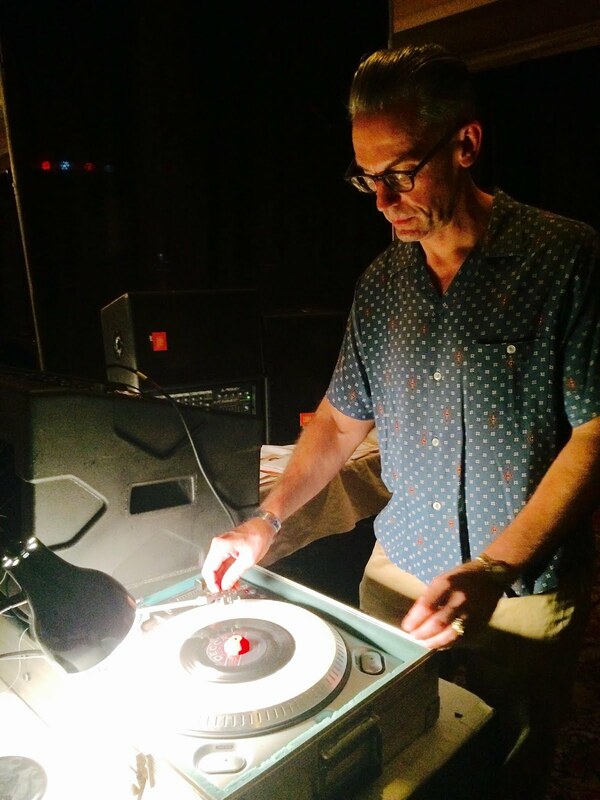 “Easy Ed’s Variety Hour” will hit the airwaves (and ‘net waves) once again this week. Tune in Friday evening and catch two large hours of Rockabilly, Hillbilly, R&B, and Rock and Roll! **When: Friday (6/12) at 6:00 PM Eastern. Can't listen while the show is airing? Just go to www.easy-ed.net and download archived MP3s of past episodes whenever you like. Send your requests to dj_easy_ed@yahoo.com. Hope to see you there, and thanks for supporting obscure rockin' music. What a cool poster! Designer Mrs. Sludge has once again delivered a work of art. I hope to see you at the show! WMFO just completed a major technical overhaul. We were off the air for a short time while the work was being completed, but now we’re back and sounding better than ever. So tune in this Friday at 6:00 PM for a state-of-the-art, sonically enhanced version of “Easy Ed’s Variety Hour”—two hours of Rockabilly, Hillbilly, R&B, and Rock and Roll! **When: Friday (4/3) at 6:00 PM Eastern. and download archived MP3s of past shows whenever you like. The song list from my last show appears at the bottom of this message if you want to check it out. 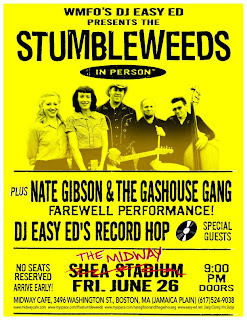 Also, if you live in the Boston area be sure to check out this big show on April 4: Hillbilly and Rockabilly Night at the Midway, with Spinout Records recording artists the Stumbleweeds; the Roy Sludge Revue, a brand new band featuring members of the Spurs and Memphis Rockabilly; and WMFO’s DJ Easy Ed. Here’s the playlist from the 3/13/2009 edition of Easy Ed’s Variety Hour. To download or listen to the show, just go to http://www.easy-ed.net/. Thanks! **When: Friday (3/13) at 6:00 PM Eastern. Also, this Wednesday (3/11) I will be the guest DJ at River Gods in Cambridge as part of their ongoing Primitive Sounds series. I want to thank Jason Beek, P.J. Eastman, and the folks at River Gods for the invitation. Please stop by! The music starts at 9:00 PM. --March 21: Don’t miss the Rock ‘n’ Roll Blowout with Rocky Velvet, The Fathoms, and DJ Easy Ed at the Midway Café in Jamaica Plain. Here’s the playlist from the 2/27/2009 edition of Easy Ed’s Variety Hour. To download or listen to the show, just go to www.easy-ed.net. Thanks! The Dappers “Good Lovin'” from Various: The Rhythm Teens (Norton Records) — Thanks to Jack Warner of Massabesic Records for sending me that CD. Frankie Lymon “Next Time You See Me” from Rock 'n' Roll (Collectors Choice Music) — 1958. Solo album without the Teenagers.